Has Terrorism Stepped into Africa’s Political Void? The African Union characterized a recent armed attack that killed more than twenty foreign tourists and others at a Tunisian museum as “heinous and cowardly.” A connection between the five gunmen who staged the raid and terrorist groups has not been confirmed, but a link is suspected. The continuing escalation of terrorist activity is in no way beneficial to Africans, but it is marginally helpful to western countries because it provides a convenient excuse for their military forces to not only maintain, but increase their presence on the continent. While western countries may have some concern about the innocent people harmed by terrorist activities, it is reasonable to believe the real purpose of the build-up of U.S. and European military troops and installations in Africa is to maintain or gain access to oil fields, mines and other natural resources through intimidation, and if necessary, the use of force against anyone who gets in the way. For those who regard the elimination of foreign military operations from Africa as essential to the continent’s ongoing struggle for genuine independence and liberation, the role and capacity of the African Union in the fight against terrorism is a matter of great concern. This is because it is all too easy for western militaries to say: “If not us, who?” in response to questions about how Africa will deal with its terrorism problem. Many Africans want very much to respond that Africans can and will address this challenge on their own and that the African Union is the most logical organization to take on the task. 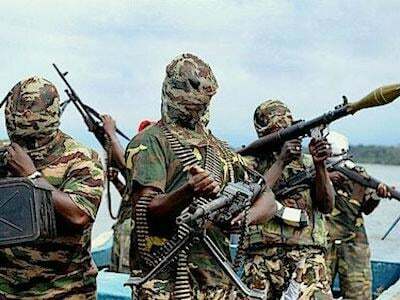 However, while the continent-wide body has already deployed 7,500 troops to Nigeria to combat Boko Haram, it has expressed frustration about the ineffectiveness of the effort to date. Hopefully, a lesson can be learned from that experience. Although western countries have relied heavily on the use of military force in their purported war against terrorism, some experts have suggested that the root causes of the proliferation of terrorist activity will not be addressed solely by military means. They point to social, political and economic conditions as factors that account for the success of terrorist organizations in recruiting new members. With these findings in mind, the African Union will be best served by rejecting any suggestions that terrorist forces will be defeated by solely military means. A more informed, multi-faceted strategy is required. In developing its 2006 “Global Counter-Terrorism Strategy” the United Nations apparently considered some of the underlying causes of terrorist activity. In addition to diplomatic, military and law enforcement approaches, the U.N. plan included measures to address conditions conducive to the spread of terrorism. These measures included: conflict resolution, negotiation and mediation; promotion of dialogue, promotion of tolerance and understanding among cultures and religions; and the eradication of poverty and promotion of sustained economic growth. These are objectives the African Union can strive to accomplish in order to make distressed regions less susceptible to terrorist recruitment, but the economic initiatives in particular would force the African Union to assume a revolutionary posture in order to reclaim the continent’s natural wealth from imperialist forces. The unemployment, poverty and government corruption in Africa that sustain the growth of terrorism are conditions that can also sustain the growth of legitimate, productive revolution. Because Africa has long yearned for opportunities to rid itself of the oppression and exploitation caused by western imperialism and its home-grown neo-colonial lackeys, it just may be that the success of terrorist recruitment is evidence that there has been a political void that terrorists have filled. In the absence of sustained revolutionary organizing, desperate, confused, oppressed individuals have unfortunately responded to terrorists’ calls to arms. If the African Union is not prepared to step into that void and become the vehicle for efforts to purge the African continent of foreign corporations and other imperialist forces that exploit and oppress, it will fall to other organizations to provide Africans with the legitimate revolutionary alternatives to terrorism that they crave.